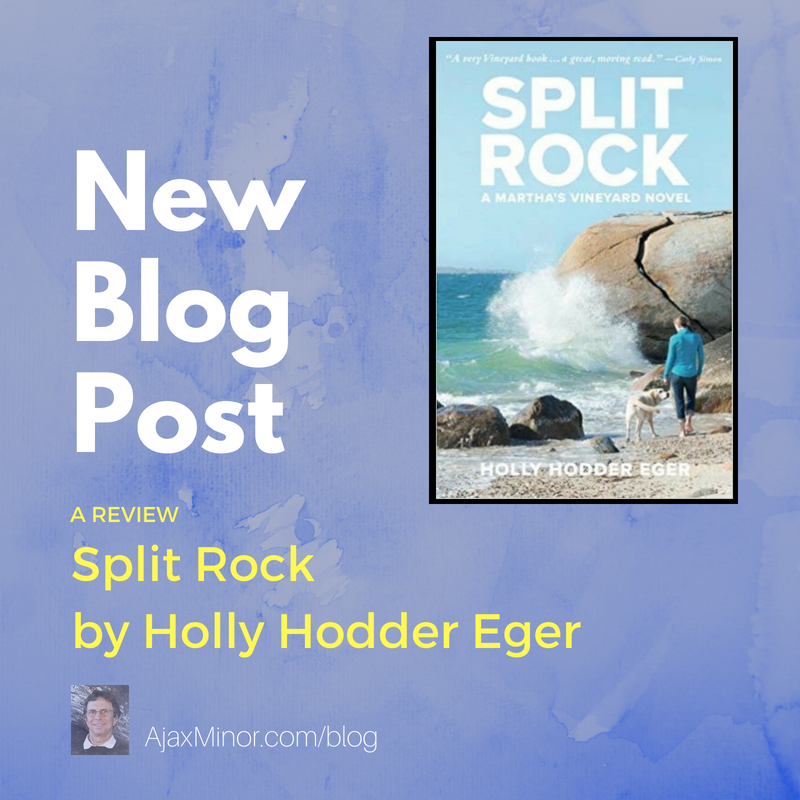 Is Split Rock by Holly Hodder Eger a romance? Is it the story of one woman’s mid-life crisis? Well, it’s both of those things and more. It’s literature; and terrific literature. It is not woven amidst sweeping historical or social themes. But it is universal because it is a personal story most of us could write about our own lives. The main character, Annie Tucker, gave up a career in publishing to follow her peripatetic husband to the far-flung places around the globe required by his job, and to raise their three children. She inherits a house on Martha’s Vineyard from her favorite aunt. She spends a summer there, as she used to do as a girl. The author, Holly Eger, breaks a few modern rules of writing along the way. There is plenty of ‘showing’ but there is also a great deal of ‘telling’. However this should be expected, since we spend most of the novel inside of Annie’s head, which turns out to be a fascinating place. The novel could have been written in the first person, but I think it works better in the third, as a template for readers to overlay on their own journeys. And the story starts off with a dream sequence! Forbidden territory, I was instructed. My own first book, Sun Valley Moon Mountains, had originally begun with a dream sequence. I had to weave it into the fantasy I was writing and it actually worked better that way for me. But Holly’s dream works just fine and Annie returns to it several times in the story as she tests and remakes herself. Annie encounters an old love on the Vineyard, Chad, who had abandoned her in Paris as a young woman, and ‘the road not taken’ haunts her. Aren’t we all haunted by the same notion at some point in our lives? ‘What if?’ is a powerful question. Annie struggles with her feelings toward Chad and toward her husband, Gordon. I think the story resonates because I believe we all eventually ask that damnable two-word question. Annie demands order in her life and from others, and she can be critical and is a perfectionist; but she comes to wonder if she is indeed perfect herself. The story also deals with secrets and secret histories and what we ought to do about them. Ever been there? Yup. I thought so. Since we spend a great deal of time inside Annie’s head, the prose is rich, but not too dense. Eger also gives us a good sense of place. The descriptions of the island are lovely, but the purple in the sunsets is never too ‘purple’. There are also a few thrills, which get the reader’s blood pumping. A mid-life crisis can be thrilling? Well, this one can and the action drives the story. The scenes are a metaphor of sorts for the turbulence Annie experiences. On Amazon in Holly’s bio, we learn that she now teaches writing. Buy Split Rock, READ IT, and you’ll understand why she teaches.